CCFC features lectures by exceptional instructors on various topics ranging from openings, strategical concepts, and endings. Following the lectures, the workshops will have a practice period that will give participants the opportunity to use what they have just learned and will conclude with a final review period. Rating: Suggested for anyone 1000-1800, but all are welcome! 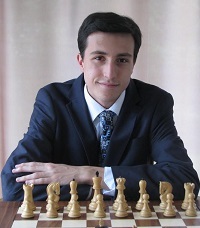 Description: National Master Ryan Young will present some examples from notable games. Understanding the nuances attacking the king is an important skill needed to progress through the ranks of chess. Studying differnet patterns in this theme are both education and highly entertaining! About the instructor: National Master Ryan Young is a professional chess educator and one of CCFC's master instructors with a peak USCF rating of 2212. In addition to coaching privately, he has instructed the CCFC Dream Team, Varsity Dream Team, at our summer camps, as well as at the national championships in Orlando. He coached the Amity High School chess team to win the CT High School State Championships.